I've made many kinds of ice creams. But I've always wanted to do something of a local flavour. Durian comes to mind easily but I wanted to do something different (and a little less intense). 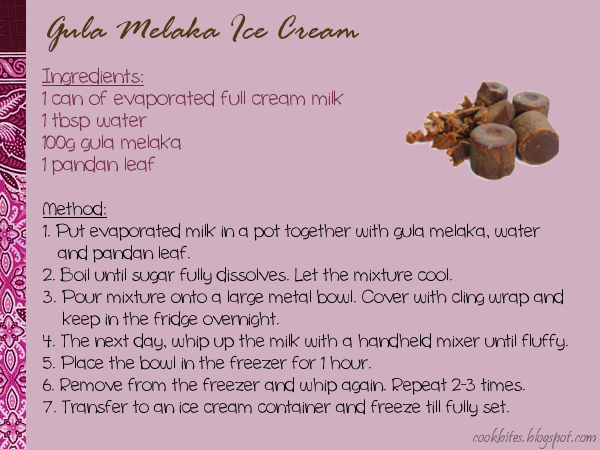 After pondering over it, gula melaka comes to mind. It would just replace normal sugar in a basic recipe and yet give that distinctive Malaysian flavour. So I finally gave it a try. 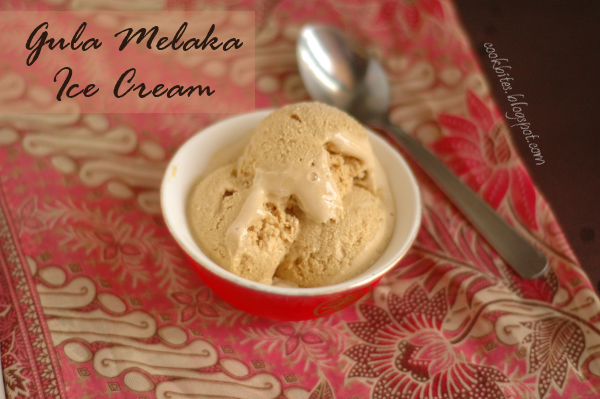 The result was a luscious creamy ice cream. I guess part of the reason is that boiling the milk reduces the water content further so there were no crystals formed during freezing. I added a small amount of water during boiling though, because I think too much water was going off. The only downside is that it is very sweet. And it seems to melt very quickly. So I'll just have to eat it in small quantities, and quickly! So here's the simple recipe. Happy trying!